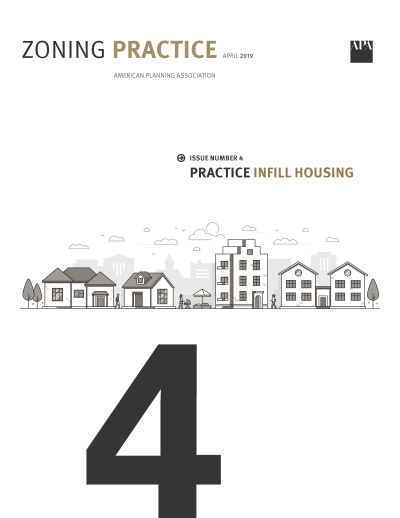 This edition of Zoning Practice profiles communities that have taken steps to expand housing options in lower-density residential districts. It highlights specific zoning strategies and discusses how some cities have refined their approaches to better address community concerns. Zoning Practice analyzes trends and spotlights innovation in local land-use and development regulation. All student members have online access to ZP. Subscribers may read ZP online or in print.